Ziextenzo is now authorized for use in the same proposed indications as reference pegfilgrastim, which is to prevent febrile neutropenia in patients receiving myelosuppressive chemotherapy, those with acute myeloid leukemia receiving induction or consolidation chemotherapy, patients with cancer undergoing bone marrow transplantation, those undergoing autologous peripheral blood progenitor cell collection and therapy, and those with severe chronic neutropenia. 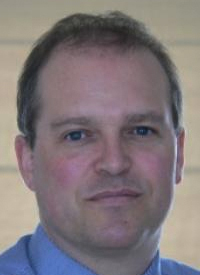 "Pegfilgrastim biosimilars, such as Ziextenzo, mark a true advancement for people with cancer,” Paul Cornes, MD, an oncologist and member of the Continuing Medical Education program of the European Association of Hospital Pharmacists and Core Lecturer for the European School of Oncology, United Kingdom, said in a press release. “These medicines help deliver optimized long-acting dosing and patient convenience while creating savings for our hard-pressed health systems." This is the eighth biosimilar by Sandoz approved in the European Union, the company stated, adding that Ziextenzo is not indicated for those with chronic myeloid leukemia and myelodysplastic syndromes. Pegfilgrastim is a long-acting form of filgrastim, which is designed to stimulate the production of white blood cells. PK/PD similarity was claimed if 90% (PK) and 95% (PD) confidence intervals (CIs) for geometric mean ratios of the area under the serum concentration-time curve (AUC) from time of dosing and extrapolated to infinity (AUC0-inf ), or to the last measurable concentration (AUC0-last ), maximum observed serum concentration (Cmax ), absolute neutrophil count (ANC) area under the effect curve from the time of dosing to the last measurable concentration (AUEC0-last ), and ANC maximum effect attributable to the therapy under investigation (Emax ) were completely contained within the predefined margin (0.8-1.25). Additionally, both agents demonstrated similar safety profiles and were well tolerated, and there was no detection of neutralizing or clinically relevant antibodies. With its European approval, the biosimilar will be available for use in the 28 countries of the European Union. "Despite advancements in cancer treatment, febrile neutropenia remains one of the most significant complications of chemotherapy and is a major cause of morbidity," Stefan Hendriks, global head, Biopharmaceuticals, Sandoz, said in the press release. "With the approval of Ziextenzo, a long-acting version of oncology supportive medicine filgrastim, we look forward to providing a treatment option that delivers the possibility of further reducing both the personal and financial burden of cancer." Sandoz receives eighth European Commission approval for a biosimilar with Ziextenzo® (pegfilgrastim). Novartis. Published November 27, 2018. Accessed November 27, 2018. https://bit.ly/2TK7Tuu.